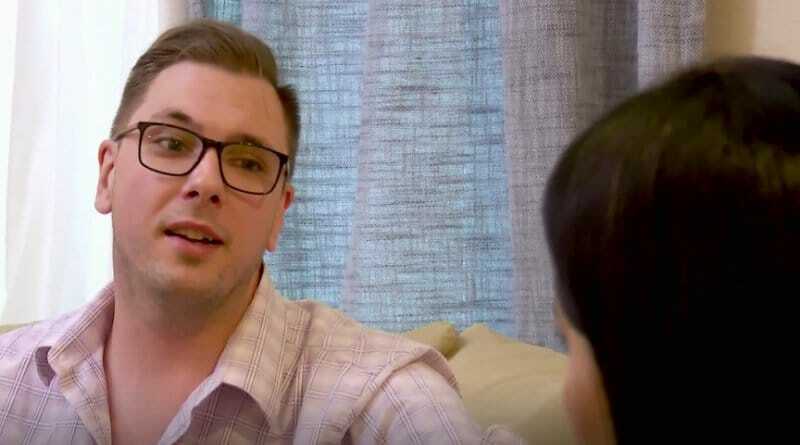 90 Day Fiance special feature Colt & Larissa: Our Journey So Far uncovers new footage and reminds fans why Colt Johnson and wife Larissa Dos Santos Lima were so watchable. Whether verbally duking it out on the screen or making tumultuous headlines, they grabbed the interest of the fans. Here’s a look at what unfolded on this TLC special in advance of their debut on 90 Day Fiance: Happily Ever After. Looking back from the start of the relationship, the red flags popped up immediately. Starting with Colt’s admission that he knows he’s somewhat of a mama’s boy. Then of course, there was his cats and him dressing them. The pending groom says he found a girl who isn’t bothered by the fact that he lives with his mother. Colt said this before Larissa landed in Vegas. He would later eat those words on 90 Day Fiance. Even from the beginning, she was pushing for more, more, more as shown on Colt & Larissa: Our Journey So Far. Despite coming from different countries, Colt Johnson and his fiance, Larissa Dos Santos Lima, seemed to understand what each other said. But it looks like they didn’t really listen. Either that or they didn’t put too much stock in what the other one was saying. It looks like the day Colt asked Larissa to marry him offers one of the best examples of this. He knew Larissa feared heights, but he took her to the Vegas Stratosphere. She felt sick from fighting off the fear but it seems Colt insisted they hang out there for the big 90 Day Fiance proposal. Considering the two crammed what sometimes take years into a 90-day period what could they expect. Colt Johnson saw the writing long before the day Larissa screamed at his cousin, John Maymoun and his wife, Lea Maymoun. But that was one of their low points as shown on Colt & Larissa: Our Journey So Far. Colt said to the 90 Day Fiance cameras that he didn’t know if he could go through with this. He couldn’t live his life with a woman who acts like this. But, that thought seemed fleeting as he continued on with the marriage plan. She threw his ring and then a tantrum and what came next was so much worse. The one person who knew things were off was Colt’s mom, Debbie Johnson. When asked how she felt about the pending marriage she had the same answer from the get-go. Colt Johnson is her son, she respects his choice, but she thought things wouldn’t work. She didn’t want him to marry the Brazilian. Debbie was an instant stand-out with the fans. Larissa Dos Santos Lima constantly battled her future mother in law. Then Colt begged the two to make peace before the 90 Day Fiance wedding day. An awkward pre-wedding mani-pedi session only smoothed things over so much. While most fans love Colt’s mother Debbie, some took Larissa Dos Santos Lima’s side on one thing. Living with your mother-in-law isn’t the ideal situation for any new bride. But most agreed just a little respect was also needed towards her husband’s mother. 90 Day Fiance brings opposites together. With Colt Johnson and Larissa, money was an issue from the start. She wanted a costlier plane ticket and flower. Larissa hated no A/C in their car. She wanted fancy furniture and a spendy wedding dress. She wound up with one from Goodwill. It was a constant battle. 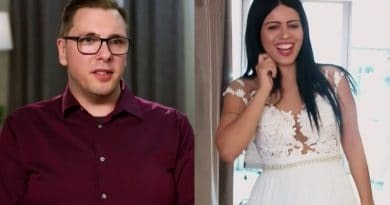 That war plays out on 90 Day Fiance: Happily Ever After but watching Colt & Larissa: Our Journey So Far reminds where it all began. 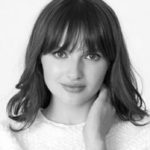 As the last season ended, Colt Johnson and Debbie Johnson fretted over Larissa locking herself in the bedroom. That was the aftermath of her first domestic violence arrest. Colt said the State of Nevada charged her even though he didn’t press the issue. This happened just four days before their wedding. Colt’s mom didn’t understand why Colt went on with the wedding after this. Although, Debbie Johnson did tell the camera that even though Colt Johnson canceled the call, the police still showed up. He didn’t want his wife arrested, said Debbie. On her wedding day, Larissa Dos Santos Lima worried she wouldn’t get her green card because of the pre-marriage arrest. Despite the name of the show, it looks like there was little joy to be found in the follow-up program with Colt Johnson and wife Larissa Dos Santos Lima. With TLC cameras lurking, there were many more fights and cops arrested Larissa for domestic violence twice more. The regular 90 Day Fiance season seemed to close on a mediocre note, then real life turned so much worse. Now, on 90 Day HEA, more on Larissa’s legal troubles will come out as Sharp Entertainment is still filming her ongoing legal saga, as recently as this month in the Las Vegas Court. Soap Dirt was on hand for that as Larissa skipped court leaving Colt and mother Debbie quite upset. On the Happily Ever After promo, Colt shouts that he will divorce her, so it will be interesting to see when that occurred versus her subsequent arrests for allegedly physically attacking him. You can check out Colt & Larissa: Our Journey So Far on TLC Go and then watch TLC on April 28 for the launch of Happily Ever After with Colt Johnson, Larissa Dos Santos Lima although their bitter divorce should be final any day now. 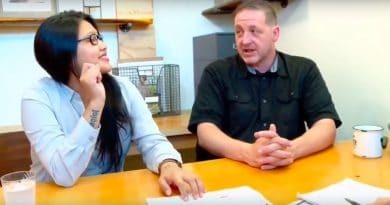 Return back here for more 90 Day Fiance spoilers at Soap Dirt.